Sorry, but it looks like there are no weekly deals running on Monday. Check out another day to see one of our great specials! Sorry, but it looks like there are no weekly deals running on Saturday. Check out another day to see one of our great specials! Sorry, but it looks like there are no weekly deals running on Sunday. Check out another day to see one of our great specials! Local, independently operated restaurants provide the soul and distinctive flavors of food that help define a sense of place. We create unique menu items that are original to Columbia and South Carolina. We are your neighbors! Were truly a part of your community. Were quick to donate our time, our facilities, our food and our staff to help local fundraising projects. We work to keep our local economy strong and reinvest for the future. The restaurant business is our passion. 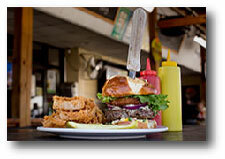 Our restaurants vary from white tablecloth and upscale casual to sandwich shops and pizza parlors. We live our business, breathe it, work in it and play in it. We love the art of presentation and the look of surprise on your face when our plates come to your table. We strive for perfection in every recipe, every dish and every table setting. We feel its our duty to support sustainable agriculture and incorporate the freshest local ingredients into our offerings. Columbia Originals reward our best guests by giving you the opportunity to purchase Web Certificates to member restaurants at a significant savings. These sales are incredibly popular, so don't forget to mark your calendars for future sales! The next sale has yet to be determined.